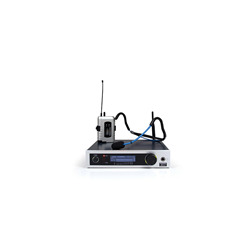 The DMSTetrad Vocal Set D5 is a professional digital 2.4GHz wireless system for worldwide license-free operation. 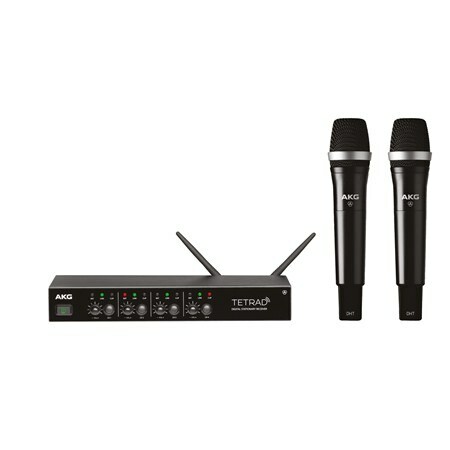 The DMSTetrad Vocal Set D5 is a professional digital 2.4GHz wireless system for worldwide license-free operation. 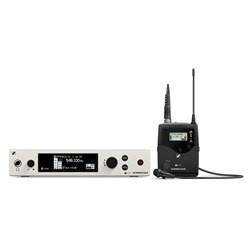 The set includes the DSRTetrad digital wireless receiver and two DHT Tetrad handheld transmitterw. The system provides uncompressed studio quality and the handheld transmitter is shipped with the patented state of the art AKG D5 dynamic capsule. 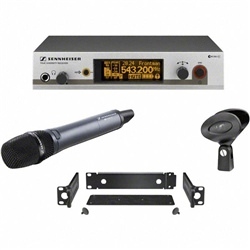 The receiver offers four channels in one rugged 19" housing. 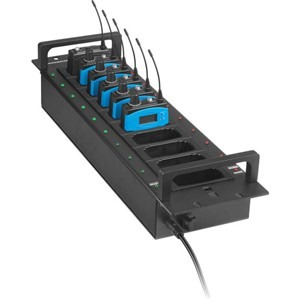 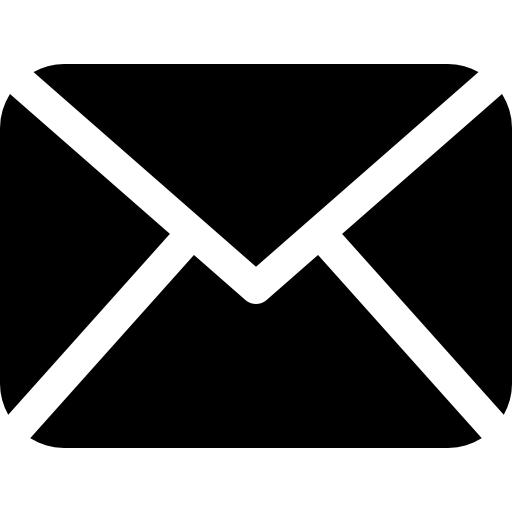 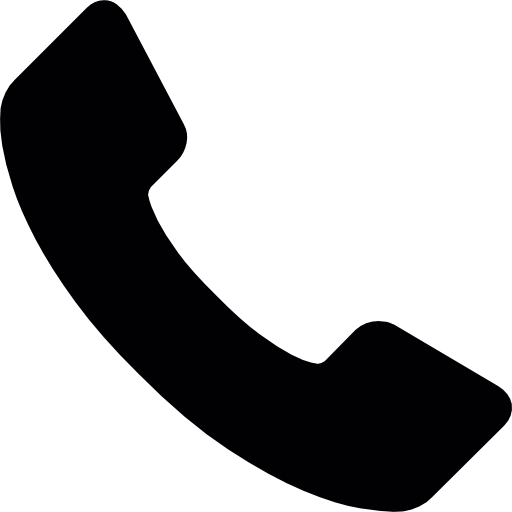 Its one-click pairing function gets the system up and running in seconds.